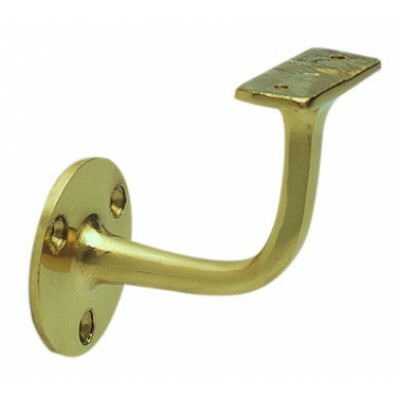 Richard Burbidge Trademark standard brass effect wall bracket. Fits 54mm diameter round handrails. Wall plate has three countersunk 4.5mm diameter fixing holes on a PCD (Pitch circle diameter) of 37mm. The attachment to the handrail is 20mm wide x 50mm long and has two countersunk fixing holes.